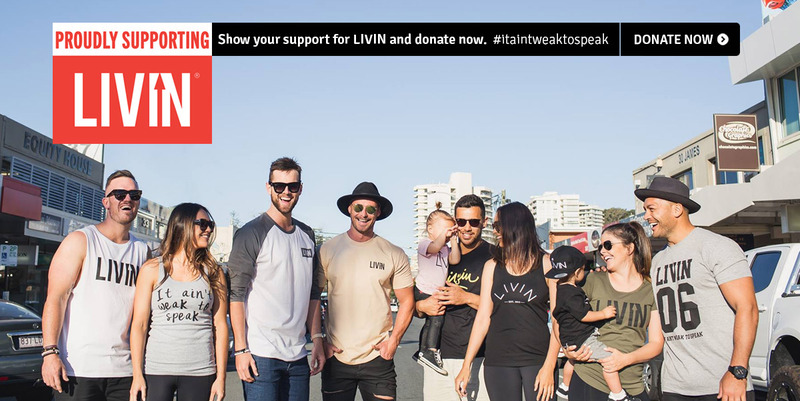 Blink Finance has chosen to align themselves with LIVIN, mainly due to the incredibly important messages they promote regarding mental health and open communication. Having friends, colleagues, family and clients who have suffered and/or suffer from mental health related issues, we would love to be able to contribute to an organisation that supports this with a fresh, innovative and welcoming approach. At Blink Finance we pride ourselves on our openness, transparency and supportive nature, especially in regard to staff communication and personal development. We always give young Gold Coasters the opportunity to enter what can be a daunting and challenging industry, regardless of their personal circumstances or life experience. We equip them with the skills and confidence they need to grow and develop and extend this open relationship throughout their career. By aligning ourselves with LIVIN and further educating our staff and clients about mental illness, we won’t just raise awareness and funds, but we will actually be able to help change lives. For the all these reasons and more, the LIVIN brand strongly resonates with both our personal and corporate values, so we want to do all we can to help LIVIN fight the battle against mental illness. We have established an online fundraising page through Everydayhero, with an initial goal of $5,000. We hope to absolutely smash this goal and encourage you to get on board and support the cause. All donations made over $2AUD are fully tax deductible. Stay tuned for our ongoing fundraising and awareness initiatives.